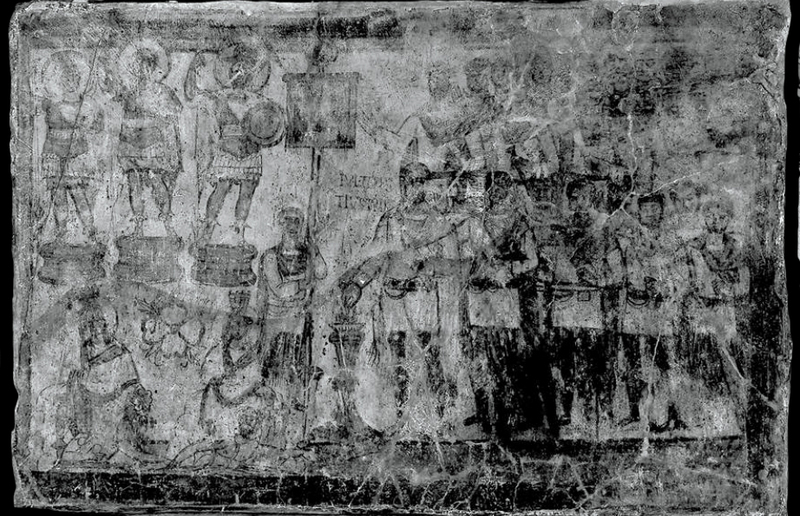 Wall paintings showing Roman soldiers were uncovered by the Yale University Expedition to Dura Europos, Syria. Photographs from the archive of the Yale Art Museum. 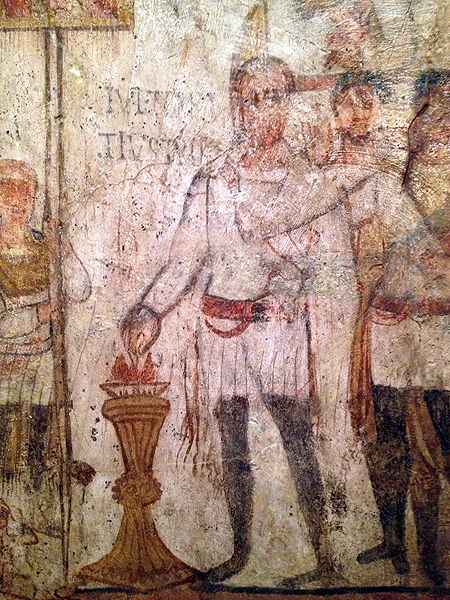 Wall painting referred to as the "Julius Terentius performing a sacrifice" uncovered at Dura Europos, block J3/J5, north wall of the pronaos in the Temple of Palmyrene Gods, approximately AD 239. 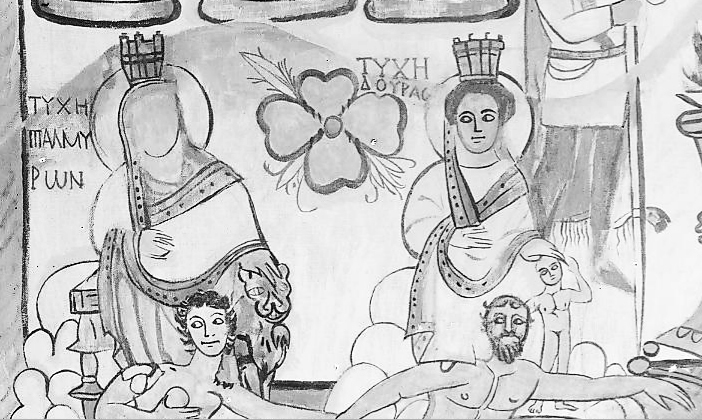 Black and white photograph from the excavation archives. 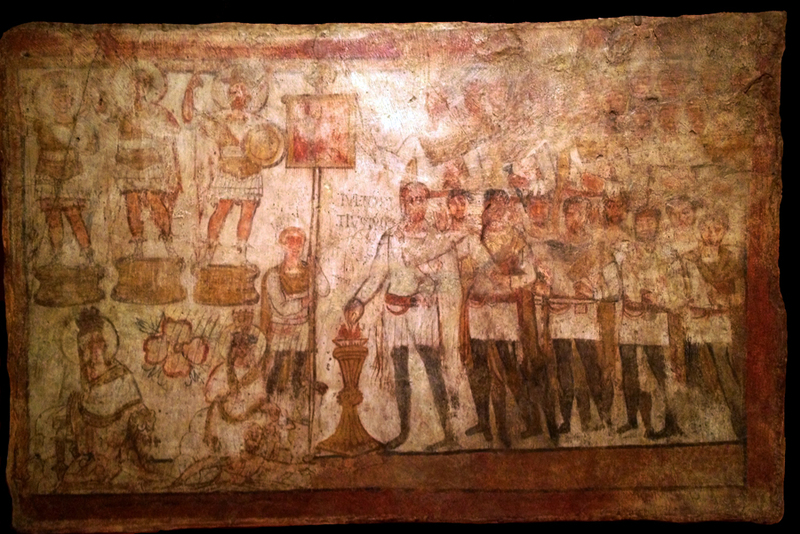 Artist copy of a portion of the wall painting showing Julius offering the sacrifice. 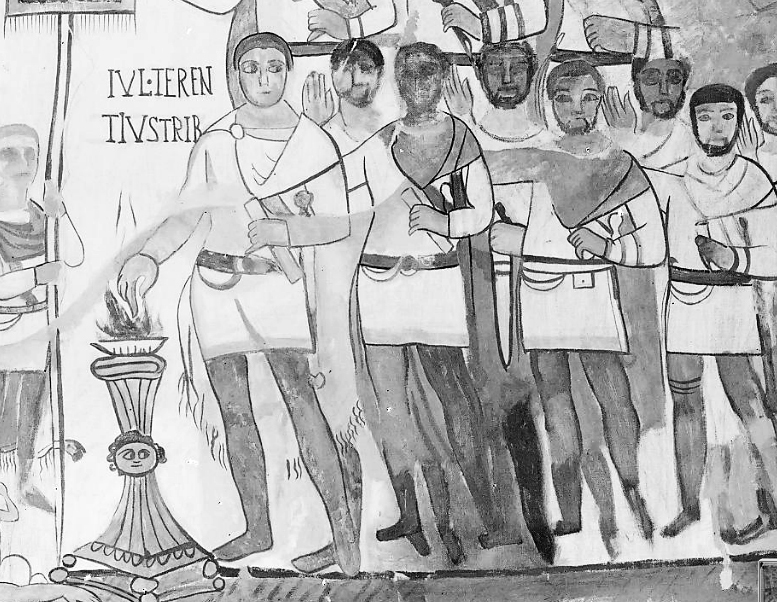 Closeup of Julius offering the sacrifice in the wall painting at Dura Europos. 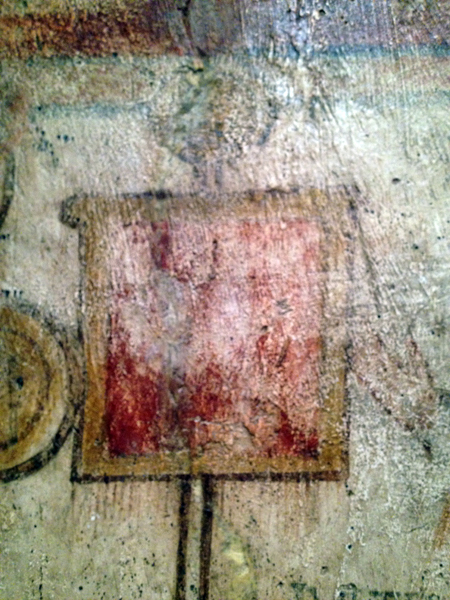 Detail of the Roman banner in the wall painting at Dura Europos. 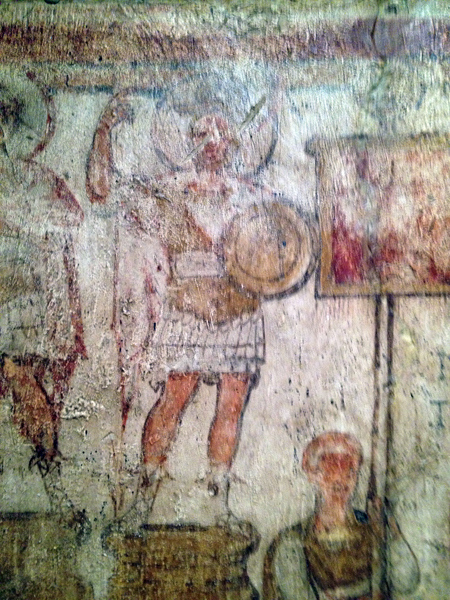 Detail of a deity in military attire with a nimbus (halo) in the wall painting at Dura Europos. 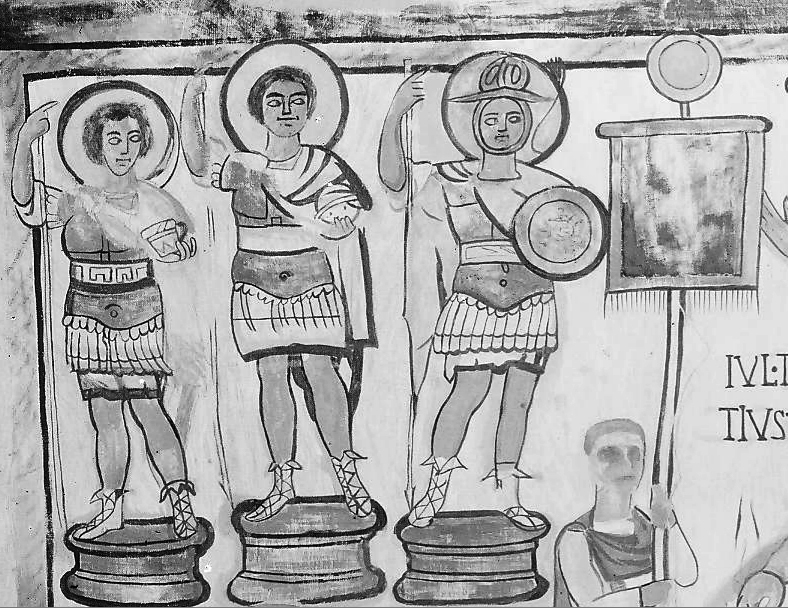 Artist (North) copy of the three deities in military attire, each with a nimbus (halo), in the wall painting at Dura Europos. 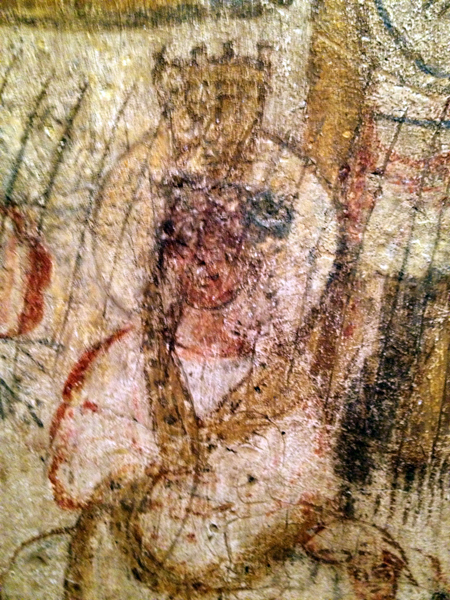 Image of the Tyche of the Euprhates. Image of the Tyche of Palmyra. 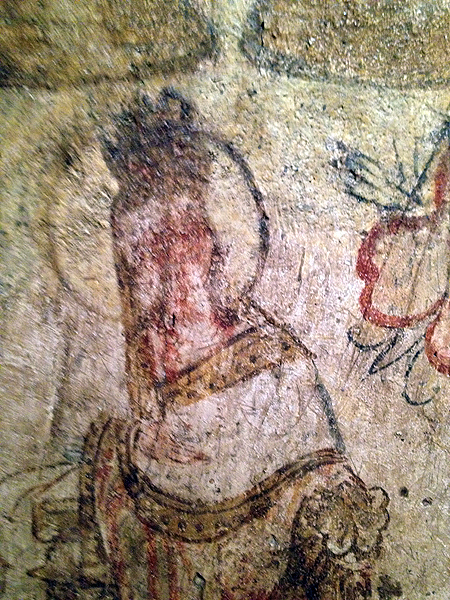 Detail of the drawing by North that shows the two Tyches. Sword excavated by the Yale University archaeological expedition at Dura Europos.